Zen is a school of Mahāyāna Buddhism. 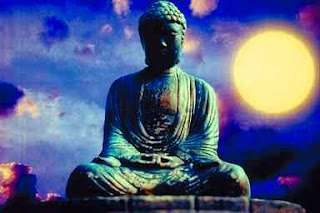 The Japanese word Zen is derived from the Chinese word Chán, which in turn is derived from the Sanskrit word dhyāna, which means "meditation" or "meditative state." Zen has been surrounded by myth, taboo and misconception. 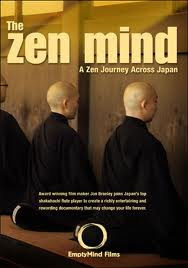 The Zen Mind is a journey across Japan to explore the practice of zen and expel some of these myths. "The Zen Mind - A Zen Journey Across Japan" is a documentary full of contrasts as we travel across the width and breadth of Japan to explore Zen today. In Japan, the cloistered lifestyle of the zen monk is declining, but zen is finding a renewal among the baby boomers in the cities. Our journey starts here with a visit to the Dogen Sangha or zen center, tucked among the office buildings of a Tokyo suburb, where commuters and office-workers stop by for meditation. We join the formal ceremonies of Kyoto’s largest zen temple and witness the rituals that have managed to survive a thousand years. In the depths of the surrounding countryside we visit a zen center that is carrying on the very spar tan and simple zen lifestyle that many temples have abandoned. This contrast heightens as we enter Japan’s largest soto zen monastery and live with the zen monks and disciples. Our cameras film unrestricted as we join the monks. Throughout this journey is the underlying practice of zazen or meditation, the act of sitting and concentrating the mind to an emptiness—to reach a self-realization and enlightenment. Intimate interviews with the spiritual heads or Roshi reveal their methods and precepts for zazen and keeping their students on the path to enlightenment. One of Japan’s leading flute players, Christopher Yohmei Blasdel provides the unique soundtrack of shakuhachi flute fused with digital melodic tones. The combination of beautiful photography, compelling narrative and striking music create a memorable Zen experience. This video is filmed entirely on location in Japan at the following Zen monasteries and center: Soji-ji Monastery, Tenryuji Temple, Ryoanji Temple, Nanzenji Temple, Ginkakuji Temple, Kyoto Kokusai Zendo, Dogen Sangha-Tokyo, Komazawa University and Eishen-ryu Iaido dojo. We have always been fascinated by zen. What does it do (nothing)? What is it (not much)? How do you practice (do nothing)?. So how do you make a documentary of something that you cannot see or touch? Well, I think we succeeded, by the great reviews we keep receiving. This story could not be told without the great music of Japan’s top Shakuhachi flute player – Christopher Yohmei and the melodies of Synthezer player, Uehara. The soundtrack is also available. First, we decided to film on location in Japan and at the widest range of zen centers and monasteries – from the zen centers in downtown bustling Tokyo to the mountains above Kyoto, it is an incredible film of contrasts. Secondly, we talked to every teacher and roshi that we could find – and then narrowed this down to some of the best interviews on zen life and zen daily practice. Travelling from the top to the bottom of Japan and across its breadth. Deep into the countryside of Kyoto, to a Rinzai zen center for foreigners to the largest Soto zen monastery in Japan. In this unique film, we are allowed to witness the daily life of the zen monk, preparing food, at work, and learning and seeking answers. You will watch the rituals inside the zendo or meditation hall and of zazen (meditation) and use of Koan’s (questions) to go deeper and deeper into the subconscious. It is a fascinating journey that could change your own life forever. 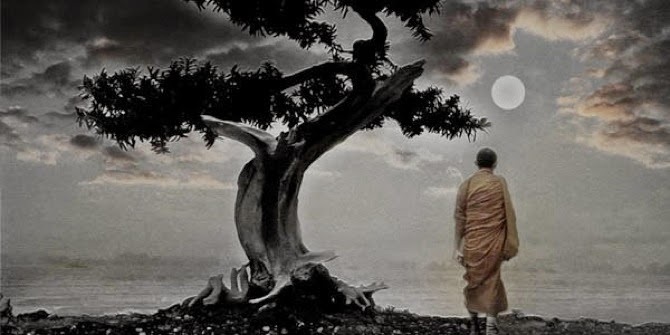 Zen mind is the "Natural" state of our being: No self, no identity, no memes, no beliefs. Any idea of "what is" takes us away from what is - to be in the moment, all ideas need to be gone. There's not even an "I" to have the ideas. The natural being acts as an outcome of the movement of the universe, in the same way that an artist's brush is moved by its "universe". All "teachings", "spiritual" paths or "sacred" practices actually take us away from the moment, because it needs an "I" to do them, with an agenda of some kind, something to gain. All of which removes our beingness from the identity-free moment. The only way that "what is" can be experienced is to lose all traces of self, in which case the "what is" can't be experienced because there is no one there to experience it. Any description of the state of the natural mind is false, including this one. "It" cannot be described. "It" is always "bigger" than the limiting description. There is not even an "ultimate" state to gain, because the very idea that there is, takes us away from it. All there is, is the operation of the universe in its all-ness. There's no such thing as "enlightened" or "unenlightened". These are just ideas of what is. Even "bliss" or "transcendence" is a state of mind that needs an "I" to experience those feelings. Thoughts are the glue of our belief structures. "I" is the creation of thoughts and beliefs. What's happening, when we think we are functioning human beings, is the operating system of the brain, running sophisticated meme/belief structures that create the content of our identities and sense of self. The only act awareness can "do" is to let go of "self" awareness. Awareness, to be fully there, needs to have no "I" attached to it. Where there was self, there is now "active" emptiness. Action, from this place, is an instantaneous, pure response to the call of the moment. It is the moment, the universe acting, not the person. True peace is an absence of agitation, an absence of self-generated internal activity. So peace cannot be "done", or created - it's an absence of doing. This allows unadulterated "what-is" to be. All action out of this state is completely harmonious and non-conflicting. There is nothing there to conflict with anything else. A transcended being feels the world cleanly, whereas an "I", full of beliefs and ideas of self, overlays those unadulterated feelings with external content, imbuing them with emotional "charge". This charge is reactive to the world around it, continually creating conflict as it attempts to dissipate. Whatever is actual or real can only be there when all ideas, all thoughts, all belief, all traces of identity are gone - when there is no "I" left to take us out of the moment. If the eternal now moment is all there is, this may be the only way to be in it. Thought is only necessary, only of any use, when it is called for by the moment, for a particular task. To keep thinking beyond the particular call of the moment is the same as keeping your arm above your head all the time, or hopping on one leg all the time. What comes out of the moment relates only to that moment. It's already past and nonexistent as it is experienced. To hold to anything experienced or said in that moment, is to live in the dead past. If you can't touch it, show it, taste it, does it have any reality? Thich Nhat Hanh : Simple Mindfulness !